Bye Bye Belgian Beer, Hello Bumpkin! Once upon a time the site that now houses Bumpkin was a Belgian Beer Bar. I can remember being dragged there partly for the beer, but more significantly because it’s almost opposite the Ferrari garage in South Kensington. And, that is, apparently, a really good reason to go there! Now, it’s been transformed into a rather charming shabby chic country house style restaurant, one of a group of three in West London serving predominantly modern British Food sourced from British suppliers. It’s a pretty, relaxed interior, with soft colour schemes and distressed wooden floors. And the service, at least when we visited, was fast and smooth without being pushy. Our bread came with butter and rapeseed oil. Fabulous idea, even though while I love championing British produce and I know rapeseed oil is local, it still doesn’t work for me in salads or with bread, though I respect the restaurant for serving it and know there are plenty of people who like it. And, of course there was butter! My starter of a cocktail of west coast crayfish definitely had a mix of crayfish and prawns, though it was none the worse for that. It came with a lovely fresh mayonnaise and tomato dressing. 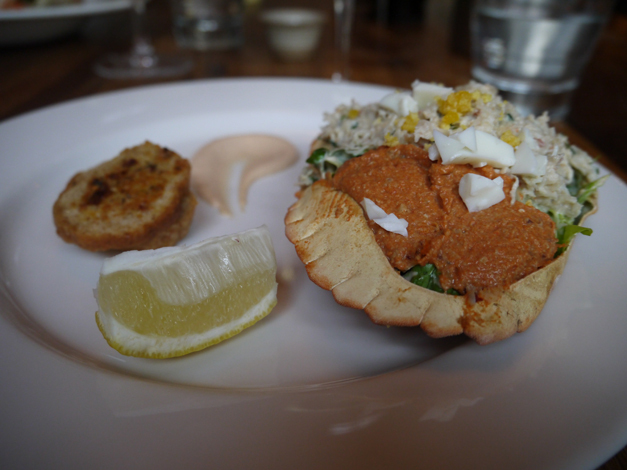 My lunch companion’s dressed crab was pronounced excellent and the tiny mouthful of crab I was allowed was very fresh, unpasteurised and well flavoured. 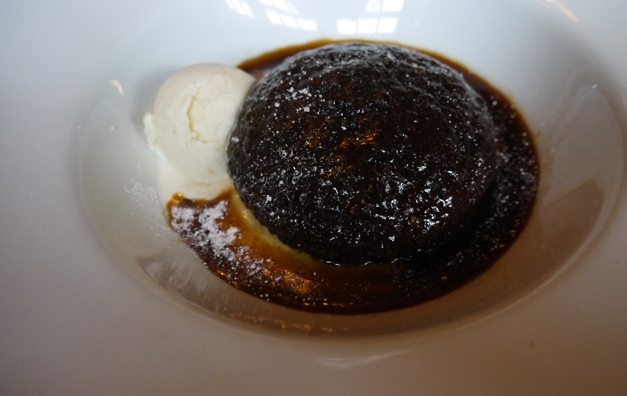 Desserts were substantial, a sticky toffee pudding which was clearly excellent since I didn’t get to taste! 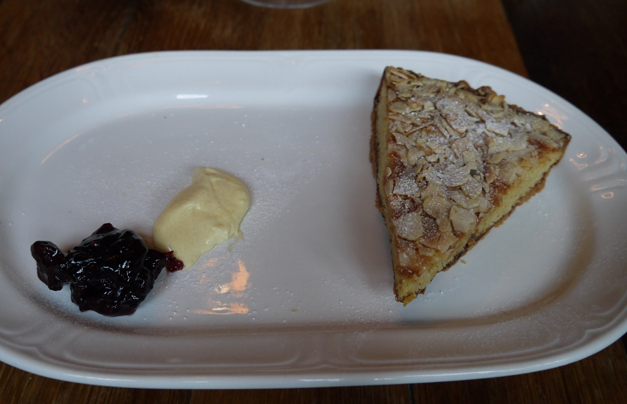 And my bakewell tart with cherries and clotted cream – a lovely tart which might just have benefited from a slightly more generous hand with the cream. Or perhaps a slightly smaller portion of tart? This would be a good place to meet up with friends for lunch, to bring the family for a meal or even to have an informal business meeting. 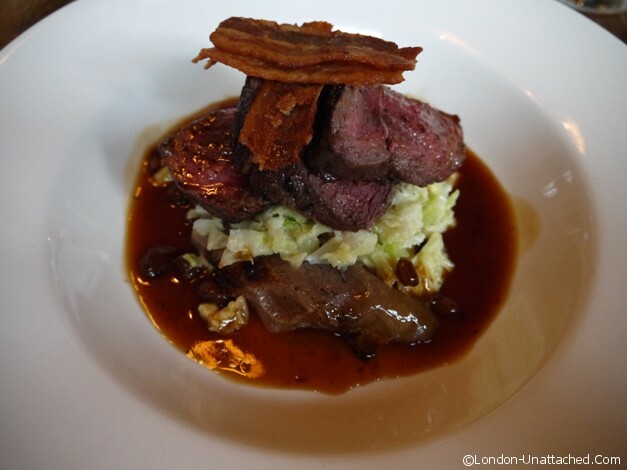 I love the sentiment behind the British sourced food and the result is good, solid well executed meals. It’s not Michelin star stuff nor is it in any way experimental. But there’s definitely a place for restaurants like this. I suspect even your Grandmother wouldn’t complain about the cooking…and that’s meant as a compliment. Looks like a delicious meal Fiona – the photos are really good (nice lighting). I’m sure I went to a Bumpkin restaurant in Putney a few years ago – I wonder if it’s still there. That little dollop of cream is rather comical! Everything looks good though. 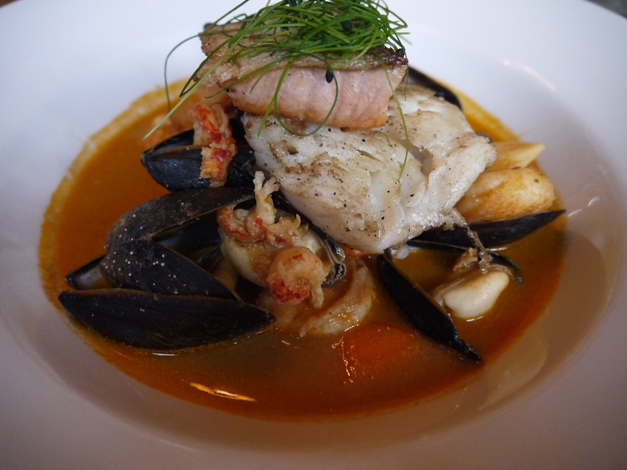 Both the venison and fish stew look to die for, Fiona! From the looks of it, Bumpkin is definitely a place I’d enjoy. 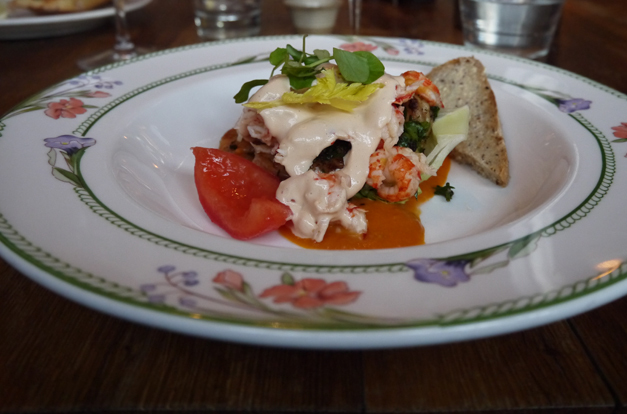 You eat at some amazing restaurants (even though you don’t feature vegetarian fare). I am a carnivore through and through, but some of my dining companions don’t eat meat. Though none are completely veggie. There is indeed Cindy, and you know in London we now have some really great restaurants. But, there’s a trend to be experimental, different and produce something new. And sometimes, it’s just good to eat unfussed about food! 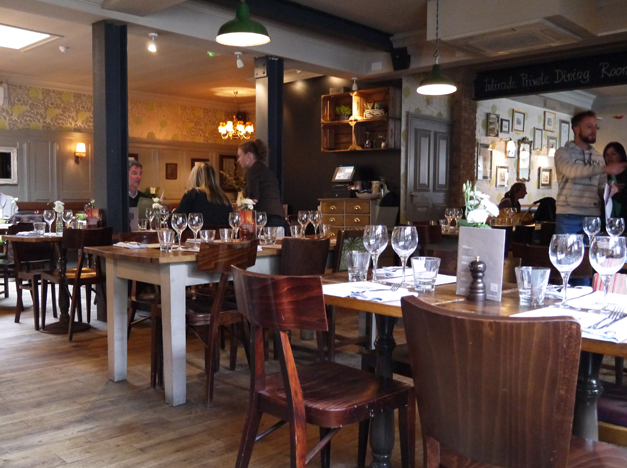 For all its faults, I think establishments like Bumpkin are a jewel in the crown for London, offering good ingredients in a relaxed atmosphere without the flash of smart restaurants I haven’t lived in England for the last 11 years and miss eating at places like the Eagle in Farringdon Rd. I did enjoy my meal. And, I also think there’s a real place for good traditional English food served at a reasonable price. I’d recommend it to visitors from overseas looking for ‘REAL’ British food. Have you been?